Visit our new shop at 2300 Central Ave. in Columbus Indiana! Proud member of the Indiana Smoke Free Alliance. Click for advocacy. Hilltop Vape Shop is located at 2300 Central Ave. Columbus, Indiana. This web site is currently under construction so please check back to view our progress. We can be reached by phone: (812) 657-7999 or Email: hilltopvapeshop@gmail.com. If you get a chance, drop by the shop and be sure to "like" us on Facebook. We only sell e-juice made in the USA. Simple ingredients for simple pleasure. We carry hundreds of flavors from nationally known makers like Boosted, Halo/Evo and many more! We also feature flavors from our friends at Hoosier E-Cig in Greensburg, Indiana. You are welcome to sample any of our flavors before you buy. Come in and find the flavors that make you happy. Hilltop carries the hardware and supplies you need. From beginner to the advanced modder, we've got it. Coils, wire, cotton, drip tips, pens, mods, RDAS and everything else. Come in and let us help you find the right equipment for the way you vape. It's all about you! The main focus for us at Hilltop is to introduce smokers to an alternative. We focus on education and offer entry level kits, battery and clearomizer upgrades from Kangertech, Vision, Innokin and more. We also offer outstanding customer service. We will help you choose the equipment that is best for your situation and show you what options are available for the best possible vaping experience. Come in and talk with us today. Big changes always start with the first step. 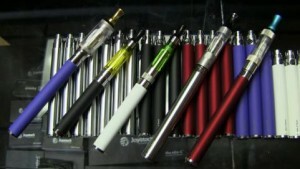 Welcome to the Hilltop Vape Shop web site.